Circus arts come alive again ---for the 7th year in a row!--- at Payomet Performing Arts Center in Truro. Our team of professional certified instructors will be offering Circus Camp classes over a seven-week period for students ages 7 to 14. Every week will include aerial arts, acrobatics, juggling, mini-trampoline, physical comedy, improv, object manipulation, rope climbing and physical training geared to the level of each individual student. Upon enrollment, students will be placed by instructors in 1 of 2 different levels of class, designed to provide the best experience for each student based on their current skill level. Classes run July 15-Aug 22, Monday-Thursday. All weeks will be held at the Payomet Performing Arts Center in Truro. After your class selection and payment are processed you will receive a registration form via email. Teddy started doing circus in 2007 as a youth troupe member in the Amazing Grace Circus in Nyack, New York, where she gained a foundation in clowning and other circus disciplines. 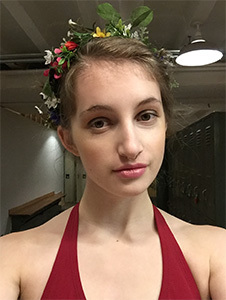 In 2012 she started studying at the New England Center for Circus Arts and in 2014 graduated from their Intensive Professional Training Program. Ment has performed for the past 5 years nationally in New England, the Midwest and the Tristate area. Internationally she has studied circus and performed in Toulouse, France and Nairobi, Kenya. She is one half of the acrobatic performing duo Teddy & Eleanor. When not hanging upside-down from her toes, Teddy enjoys hiking, gardening, surfing and being in the great outdoors. Unsurprisingly, she is now attending Oberlin College in Ohio to study Environmental Studies and Dance! 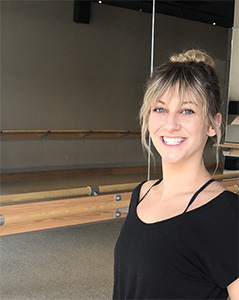 Eleanor began her movement training at Canyon Concert Ballet in Fort Collins, Colorado, where she became a company member in 2007. She trained at the Kansas City Ballet summer intensive, Snowy Range Dance Festival, the Richmond Ballet Summer Intensive, and the American Dance Festival, and earned her BFA in Modern Dance and Choreography in 2012 from Virginia Commonwealth University (VCU) in Richmond, Virginia. She discovered aerials in 2012 and trained with Host of Sparrows Aerial Dance in Richmond. Following college, Eleanor completed the Frequent Flyers Aerial Dance Professional Training Program in Boulder, Colorado, earning a certification in aerial dance performance. With her peers from the FFP Professional Training Program, Eleanor established Rabble Dance Collective in 2013. Later that year she began training and performing at the New England Center for Circus Arts (NECCA), in Brattleboro, Vermont, where she completed both the Intensive Year Program and the Professional Track program. Eleanor is one half of the acrobatic performing duo, Teddy & Eleanor and she currently specializes in performing and teaching the lyra, trapeze, stilting and partner acrobatics. Trevor grew up in the town of Brewster, on Cape Cod. He's been juggling professionally for about 20 years, performing and instructing throughout New England, and beyond. 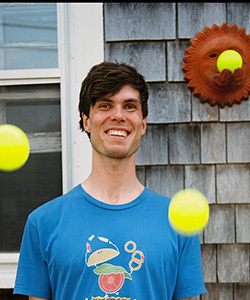 In addition to his instructional work with Payomet in Truro and Wellfleet, Trevor has taught juggling on Cape for Wellfleet Elementary, Orleans Elementary, The Laurel School, Chatham Middle School, Harwich Recreation, Nauset Youth Alliance, and the KABOOM and ECEC programs at Eastham Elementary, among others. Off-Cape, Trevor has led juggling and object manipulation workshops for Oberlin College, Tufts University, Rochester Institute of Technology, Wildfire Spinning and Fire Arts Retreat, Boston Juggling Festival and The Gym Dandies Children's Circus. Edgar is originally from California. His passion for circus arose from his background in springboard diving and marching band. His circus journey began on a flying trapeze rig in Santa Monica. Ever since he has indulged his love of flipping, falling and spinning by expanding his circus skills. He completed two years of Professional Track programs at the New England Center for Circus Arts. He has recently been touring with Mirage: A Circus Life, which he helped to create and in which he performed partner acrobatics, juggling, german wheel and chinese pole. Edgar has found his passions in circus arts and loves nothing more than to share it with others through both performance and instruction. Lynsey is a veteran professional gymnastics and acrobatics coach and instructor with a passion for working with children. Her circus arts training includes study at the New England Center for Circus Arts, The Flying Nut and Pro Track Graduation performances at NECCA, and she has been a senior instructor and coach at World Class Gymnastics Academy and a circus camp instructor at the New England Center for Circus arts. 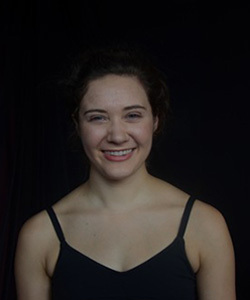 Elizabeth is a 2019 Honors graduate of Oberlin College, with a degree in Cinema Studies and Dance. 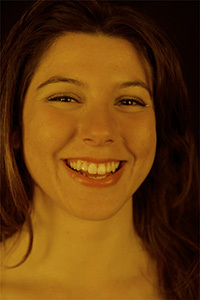 She leaves Oberlin with dual credentials as a filmmaker and circus artist. Elizabeth has trained at the School of Acrobatics and New Circus Arts and combines her love for circus with a passion for storytelling through interdisciplinary performances, film, and installation art. She is training in Aloft Circus Arts’ Professional Training Program and is taking part in CircEsteem’s Social Circus Instructor Training Program. LIMITED AVAILABILITY! RESERVE YOUR SPOT HERE!